Spokane is a destination for wine. Go TASTE why. 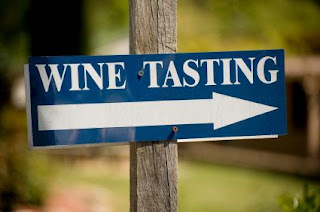 This is the Weekend O' Wine report, informing you of where you can discover great local wine. Check out the wine happenings in the Spokane Coeur d'Alene region and make it a GRAPE weekend. Get thee to a winery! 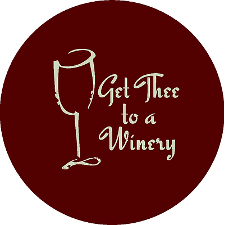 Click on the link and check out the local list with SIP TIPS including the updated Endangered VINO notifications..Get thee to a winery, the local list Get thee to a winery, the local list. FRIDAY: LIVE music downtown Whitestone Winery is always a good time. Friday night Music By Michael Jay Dwyer, appetizers and great wine. ALL WEEKEND: The Spokane Public Market is officially open debuting with over 55 vendors and one Wine Bar. 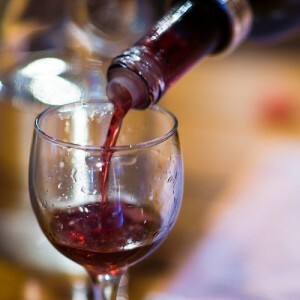 Check out the Marketplace Wine Bar, located at 2nd & Browne. EMVY Cellars and Bridge Press Cellars are the featured wines. FRIDAY: Nodland cellars will be releasing 2010 Bebop during Valley First Friday. Located in south central Washington State and the heart of the Horse Heaven Hills in Prosser, Washington, this unique terroir and climate has nurtured Coyote Canyon Vineyard’s award winning premium grapes since 1994. 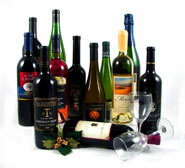 Wine Styles will help you purchase wine that matches your palate.....your wine style. ALL WEEKEND: VINO! Friday tasting focuses on THE WINES OF PORTUGAL. ($5 fee) 3:00 till 5:30pm – Drop-In! 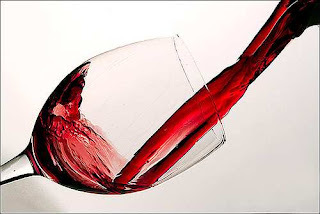 Saturday features June Wines Part 1. VINO! is located at 220 S Washington in Downtown Spokane. The WINE selection with tasting notes on each and every wine is located at 726 East 43rd Avenue Spokane, WA 99203-6212 (509) 343-2253 Rocket Market LINK Check out the GREAT wines under $10 shelf, as it never disappoints. Saturday evening LIVE music is back at the Market starting at 7:30pm and featuring the sounds of Matt Russell. SUNDAY: - Arbor Crest Summer Concert Series. Sunday night. This Sunday enjoy Stagecoach West (Classic Rock / Country) starting at 5:30 pm and going until dusk. Only $5 cover and you can bring your own picnic. Wine sold by the glass or bottle. Need wine now? Check out, Get thee to a winery. The local list with Endangered VINO alerts. Follow every SIP on Twitter. I would have thought SIP would be a locapour of coffee too! How about shopping a local coffee shop rather than Starbucks! I adore local coffee. DOMA is what I am currently drinking but I also like Thomas Hammer, Cravens, and 4 Seasons to name drop a few. Sip is always at a LOCAL rocket bakery or rocket market! Thank you sip, I love reading about your WINE adventures. Thank you so very much. I do love me some Rocket Market. Latah Creek is releasing Monarch Zinfandel, not Monarch Petite Sirah. The Petite Sirah was released in November.